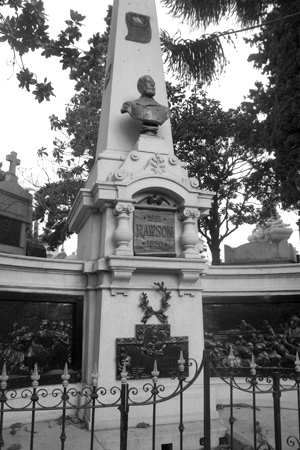 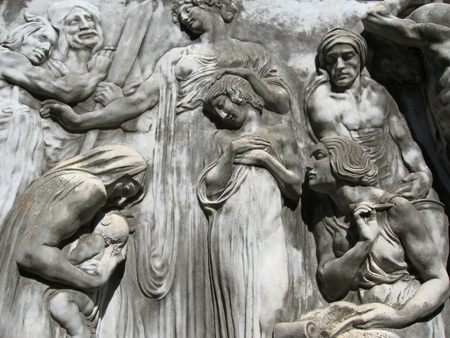 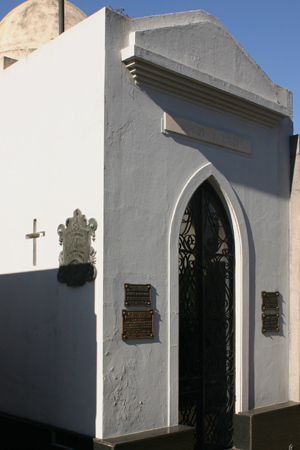 Group pantheons are rare in Recoleta Cemetery. 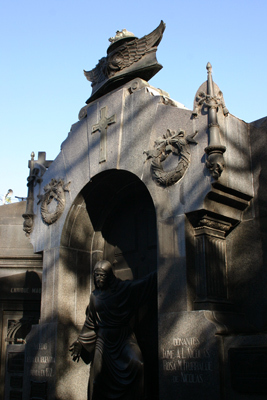 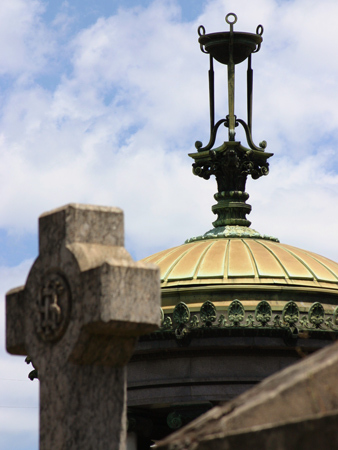 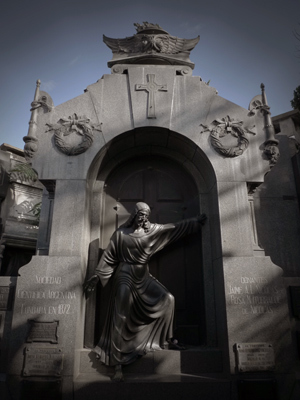 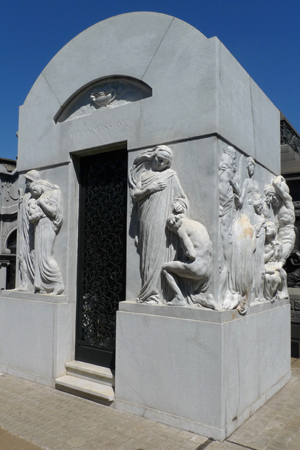 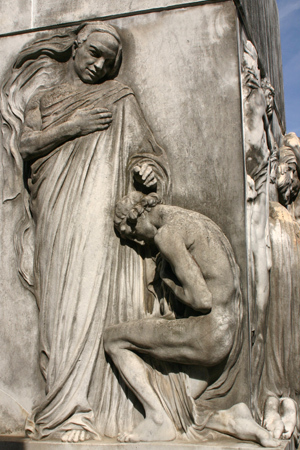 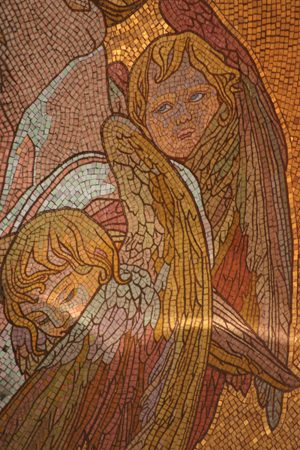 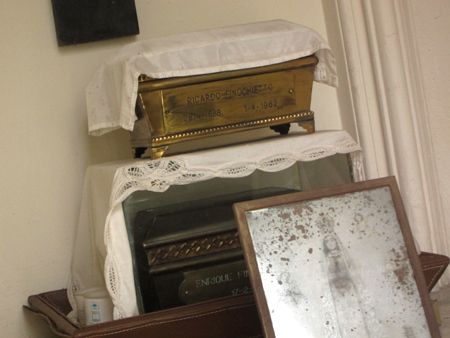 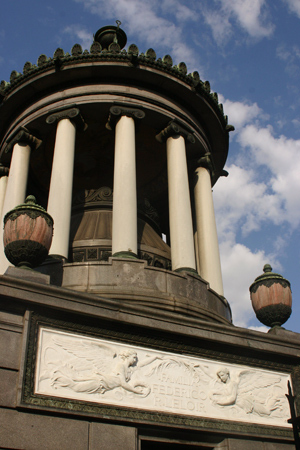 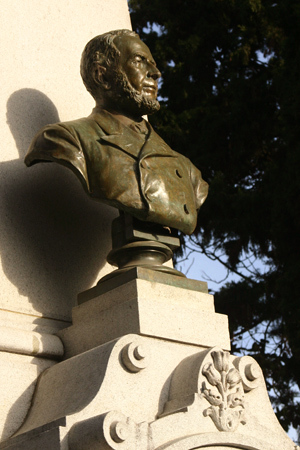 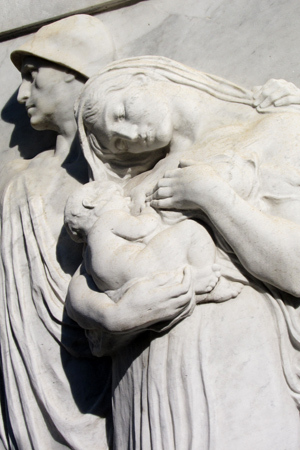 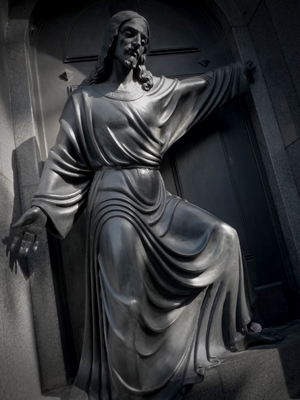 Organizations usually choose Chacarita Cemetery while Recoleta attracts families & individuals. 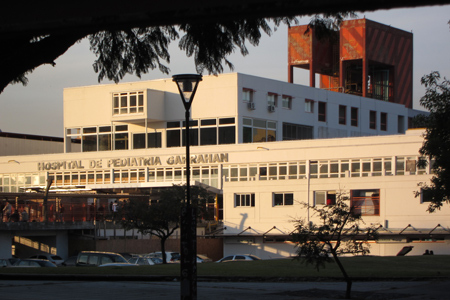 But given the social status of the Sociedad Científica Argentina, it’s not surprising they’re here. 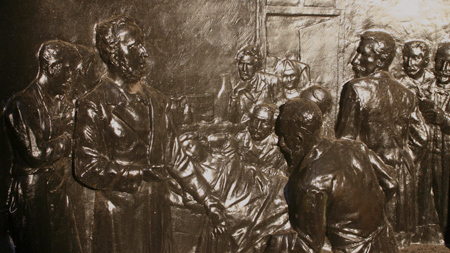 During the 1850’s & 1860’s, medical & scientific societies formed—often with a very specific field of interest—in order to advance progress in these areas. 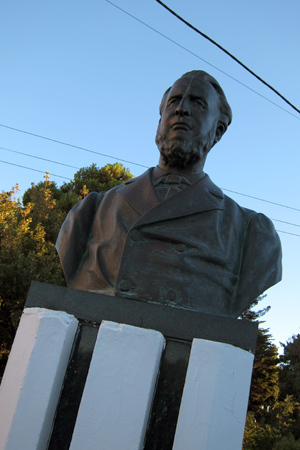 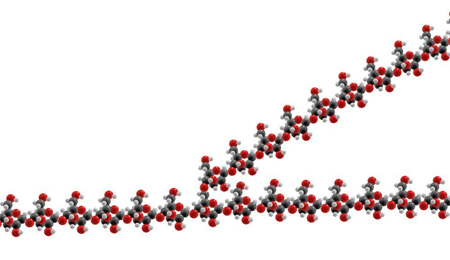 As a relatively new nation with many issues to resolve, science often took a back seat. 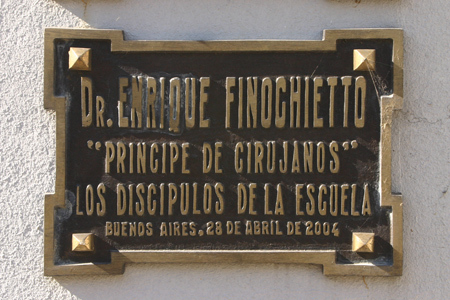 University students decided to change that. 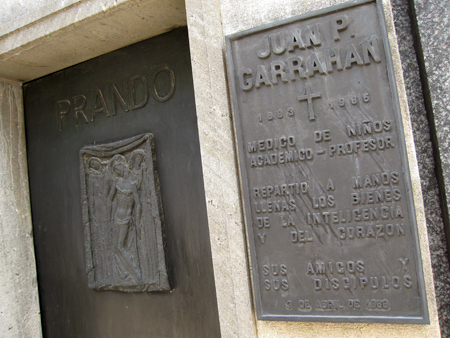 While still in the Department of Exact Sciences, students such as future engineers Luis Huergo & Santiago Barabino found support in their older peers, like Germán Burmeister, to found the society in 1872. 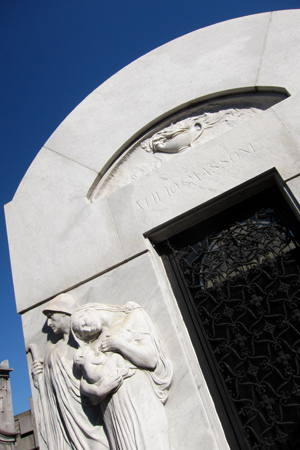 Still an influential institution today, members can opt for burial in the society’s pantheon. 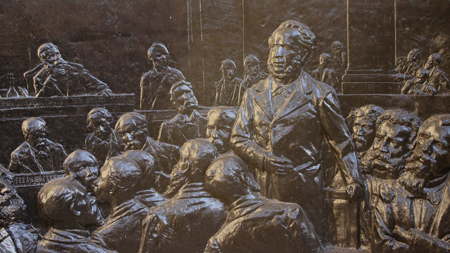 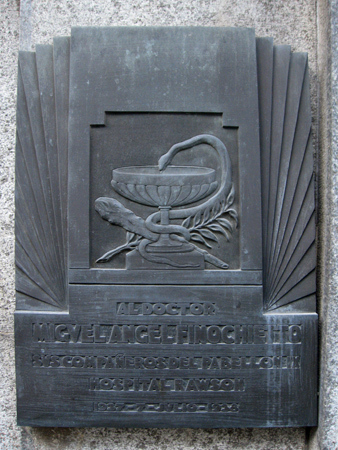 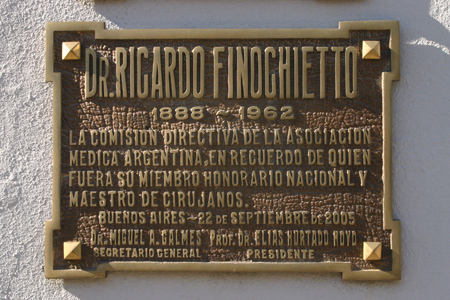 Numerous plaques list some of the occupants, such as analytical chemist Reinaldo Vanossi & biophysicist Máximo Valentinuzzi. 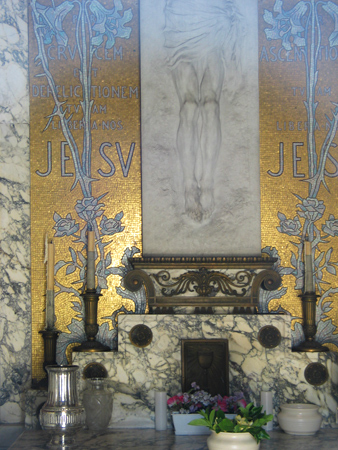 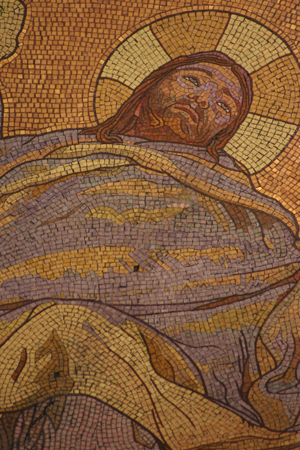 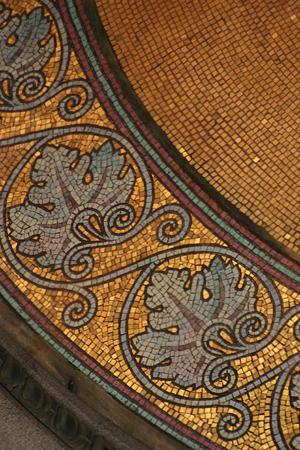 The statue of Christ is the vault’s most outstanding feature & often has flowers placed at its feet. 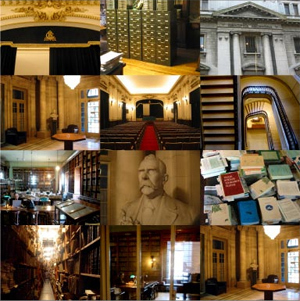 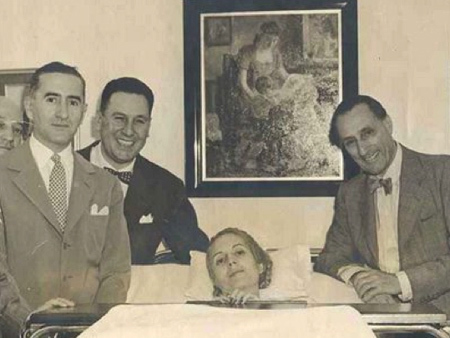 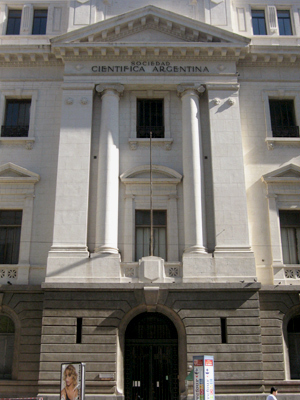 Interior photos courtesy of the Sociedad Científica Argentina.